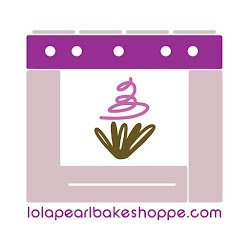 Lola Pearl Bake Shoppe: Bake Me A Christmas! 'Twas the weekend after Thanksgiving, and all through the house, Christmas lights and red bows emerged from about. This year, to help celebrate and countdown towards Christmas, LP is presenting "Bake Me A Christmas". From now until December 25th, our posts will be designed around the ultimate baker's Christmas. Whether you need to buy something for that special baker, or are looking for things to add to your wishlist, we've got you covered!